Writers tell stories for a multitude of reasons and people read stories for a multitude of reasons. I think what we get from the reading experience is very personal, and sometimes we simply want to use that story as a method of entertainment or escape. I don’t there’s anything wrong with that (actually, I think it’s awesome). But what about books that don’t bring entertainment or escape, but instead challenge us? I mean, books that are just plain hard to get through, both philosophically/thematically and narratively. How do we approach those? I’ve been thinking a lot about this very topic since I finished The Power by Naomi Alderman. It’s a book with a lot of strengths, but I also found it, to be frank, quite challenging on a number of levels. And yet, if someone were to ask me if I would recommend it, I would emphatically do so. To me, The Power fits into a larger canon of books that I think are necessary specifically because they are challenging to read. And I’d like to talk about why that is. I’m sure I’m not the only reader who has felt betrayed by a bad movie or TV adaptation of a favorite book (The SyFy Earthsea miniseries comes to mind). However, there are many adaptations of books that actually do a stand-up job. For me, there are three that come to mind immediately. They work for me because they feel loyal to the spirit of the books they seek to portray, even if they take a few liberties with the text. 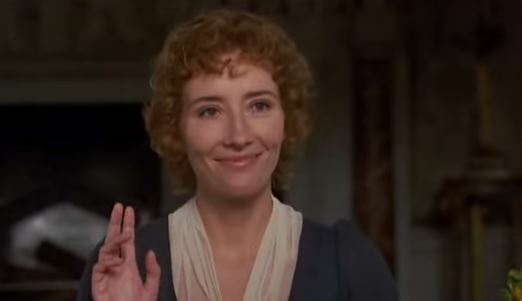 This adaptation is a winner because of the strong focus on the relationship between sisters Marianne and Elinor (played by Kate Winslet and Emma Thompson, respectively). The love these two have for each other, even in the midst of fairly dire circumstances for their time period, is really moving. One scene in particular, where Marianne lies in an unconscious stupor on her sick-bed and Elinor begs her to live, is particularly moving. It’s not in the book, but I think it’s a natural fit for the story’s tone and these two characters. That’s not to say the adaptation is perfect. Hugh Grant does a pretty poor job as Edward Ferrars. Also, there are a few notable changes from the text (as mentioned above). But, as I said, the filmmakers (particularly Ang Lee and Emma Thompson) seemed to understand the spirit of the text. 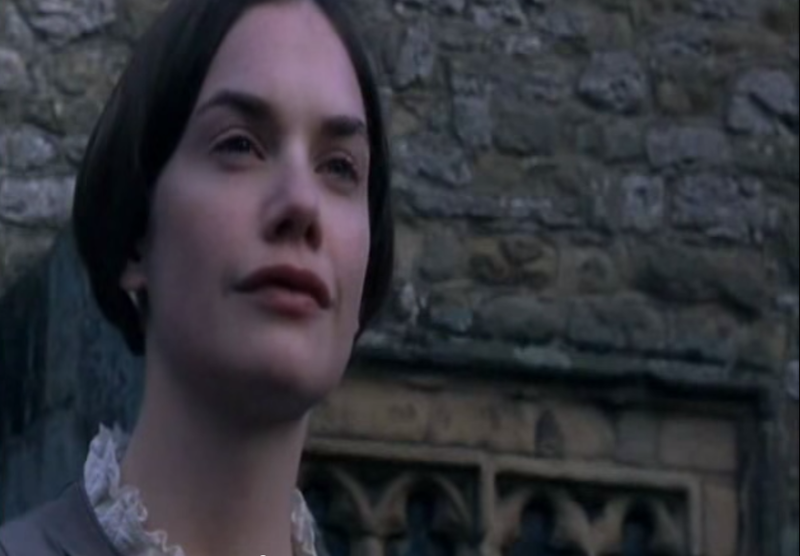 An adaptation of Jane Eyre has been made at least every decade for the last fifty years. For the most part, I feel most of these adaptations fall short of the story’s complex themes and characters. In truth, it’s not an easy story to adapt for a wide audience: A teenage girl goes to live in the house of a dark broody man, falls in love with said man, and drama ensues. However, for me, the BBC One mini series does a really good job of embracing this complex story. It doesn’t shy away from the fact that this relationship, at least at the story’s start, is problematic. And it does a very good job of conveying the passion and sensuality of this Victorian romance that today’s audience might miss. Overall, when I want to watch one of my favorite stories, I turn to this adaptation. An immense saga of a story, North and South by Elizabeth Gaskell is a Victorian novel most students tend to miss. It’s far too long to be covered well in most undergraduate courses, let alone high school. However, it’s a truly lovely book filled with complex, fleshed-out characters and themes. It’s also a great picture of England during the Industrial Revolution. With a book such as this, it would seem hard to create a satisfying adaptation. However, the 2004 BBC One miniseries did a great job. Yes, like the book, it’s long. But the extra time is needed to give credit to this lush story of a woman attaining her adulthood. Also, it superbly casted; Daniela Denby-Ashe and Richard Armitage steam up the screen with fantastic chemistry. If you watch one of the adaptations I mention in this post, watch this one. No doubt you’ve noticed that all of the adaptations on this list are period dramas. Well, I happen to think the makers of period dramas do a superior job in the adaptations category. However, I might come back to this topic and do a second post, possibly focusing on another genre. So, what do you guys think? Do you have any favored adaptations? Or do you shy away from them altogether?